Kolkata: The Election Commission is gearing up for voting in the booth at Srikhola Primary School under Bijanbari block in Darjeeling which is located at an altitude of 2,700 feet from the sea level. This booth in the district is located at the highest altitude in Bengal. Darjeeling will have polls on April 18, during the second phase of elections. "The booth is located very close to the Indo-Nepal border and is highly sensitive and accessibility is a major challenge. It is five hours' drive from Darjeeling town and then a steep climb of nearly 7 km on horses. The election officials and the security personnel including the Central Forces will be reaching the booth at least 24 hours in advance," an EC official said. Bijanbari is a small town located in a valley. There is a winding scenic road that goes down all the way from Ghoom to this sleepy town over a stretch of 22 kilometres. Lovely mountain streams, waterfalls, tea gardens and the green forest is a feast to the eyes. However, the booth located at the extreme end of this block has around 915 voters who hail from four villages. The residents in the area have been demanding proper connectivity to this place for a very long time. 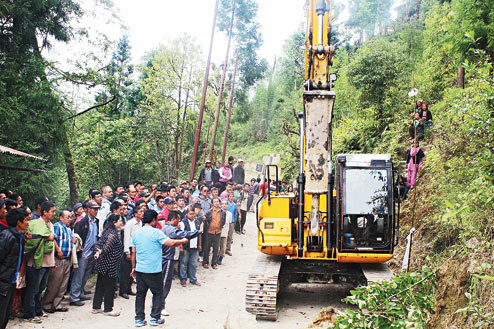 There have been attempts by the state Public Works Department (PWD) to construct a narrow motorable road through the hills to reach the booth. Some part of the road was also built by the PWD engineers but a major landslide that took place a few months back had damaged it. 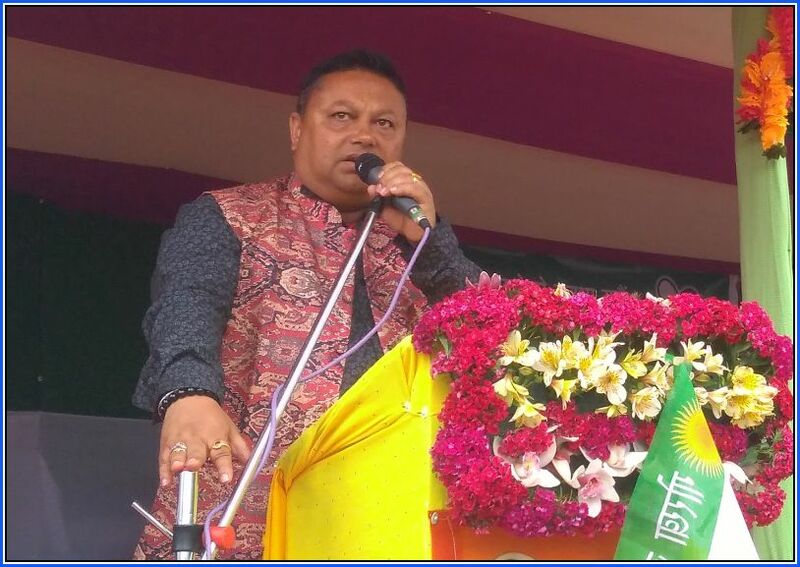 It may be mentioned that the total number of booths in Darjeeling parliamentary constituency is 1,899 among which 874 booths are in the hills and the rest 1,025 booths are in the plains. Out of the 874 booths in the hills, 261 booths are in Kurseong Assembly constituency (AC), 321 in Darjeeling AC and 292 booths in Kalimpong AC. Darjeeling parliamentary constituency has 80 percent of its booths highly sensitive and the Commission is making special security arrangements for all of them. 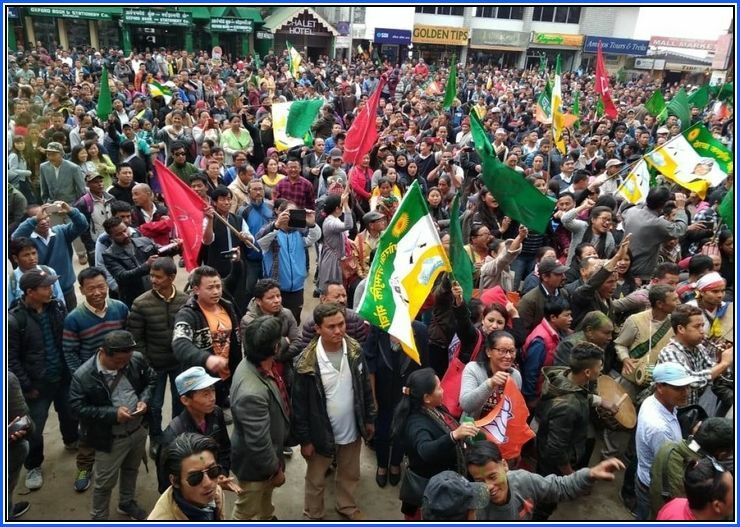 Darjeeling: The Darjeeling district administration has repeatedly denied permission to opposition parties from conducting election meetings in the hills. After being repeatedly denied election meeting permission, a coalition of four main political parties in the hills -- Gorkha Janmukti Morcha, Gorkha National Liberation Front, Communist Party of Revolutionary Marxist and Bharatiya Janata Party -- on Monday took out a cultural rally showcasing Gorkha unity and solidarity. They are calling it ‘Gorkha Ekta Maharally’. 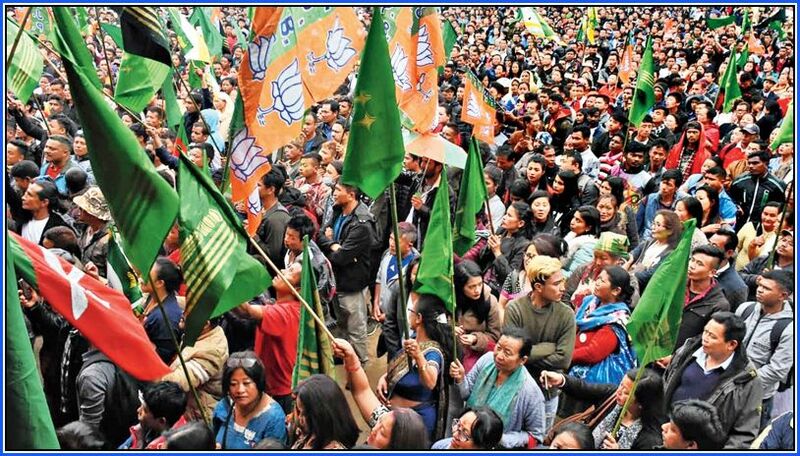 With voting scheduled for April 18, Darjeeling is gearing up for a major showdown between TMC and BJP, both supported by local political parties. The BJP paraded representatives of at least seven political and apolitical outfits at a rally in Chowrasta here and used the gathering to claim that the Gorkhas were united behind the saffron camp even as Opposition parties called it a gimmick ahead of the Lok Sabha polls. Over 16 lakh people are expected to vote to elect a new Darjeeling MP on Thursday. Around 7 lakh voters belong to Darjeeling, Kurseong and Kalimpong — three Assembly segments in the hills. “This is a ‘Gorkha Unity Vijay Mahajulis’. This was planned to show the unity among the Gorkhas,” said Ajoy Edwards, a steering committee member of the GNLF, calling the programme a “victory celebration”. The GNLF is taking the lead in mobilising supporters in the hills for the BJP’s Darjeeling candidate Raju Bista. Apart from the GNLF, the BJP also has the support of the Gorkha Janmukti Morcha (Bimal), the CPRM, the ABGL (Pratap), the Gorkhaland Nirman Morcha, the SUMETI Morcha and apolitical Gorkhaland Sanyukta Sangharsh Samity among others. At Chowrasta, firecrackers were burst, traditional Nepali instruments played and the processionists played with abir, as they tried to portray the programme as a “victory celebration”. At the public meeting, the narrative of the “victory celebration” changed a bit as the speakers talked about “victory” being secured in the polls and results just being a formality. Such claims, a political observer said, could be construed as a “psychological game” ahead of the polls. “In closely contested polls, such tactics are often used with the motive of demoralising the Opposition,” said the observer. 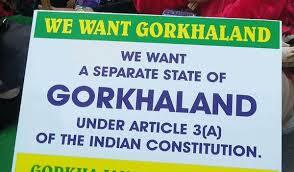 But rivals have sought to contest the united Gorkha narrative. “They are living in a fool’s paradise. Darjeeling is yet to vote and it’s amusing to find them celebrating,” said Suraj Sharma, the spokesman for the Morcha (Binay) camp. During the public meeting, the leaders stressed the “Gorkha pride” and made repeated reference to the 2017 Gorkhaland agitation.